Disinfectant* degreaser for cleaning all surfaces. 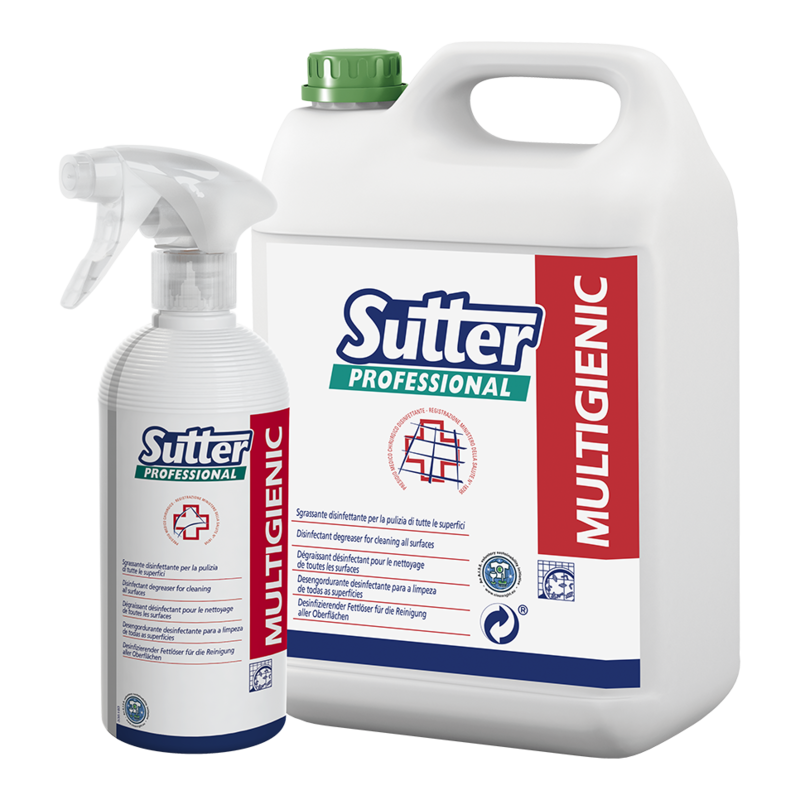 Disinfectant degreaser that eliminates all types of dirt from all surfaces. COMPOSITION: 100g of product contains: alkyl-dimethyl-benzylammonium chloride (benzalkonium chloride) 0,5g, 2-phenylphenol 0,032g, solubilising agent, sequestrant agents, water q.s. to 100g. COMPOSITION (Reg.648/2004/EC): non ionic surface-active agents < 5%. Contains: disinfectants. Contains DS Ethanol (Licence UTF IT00ALA00100K).